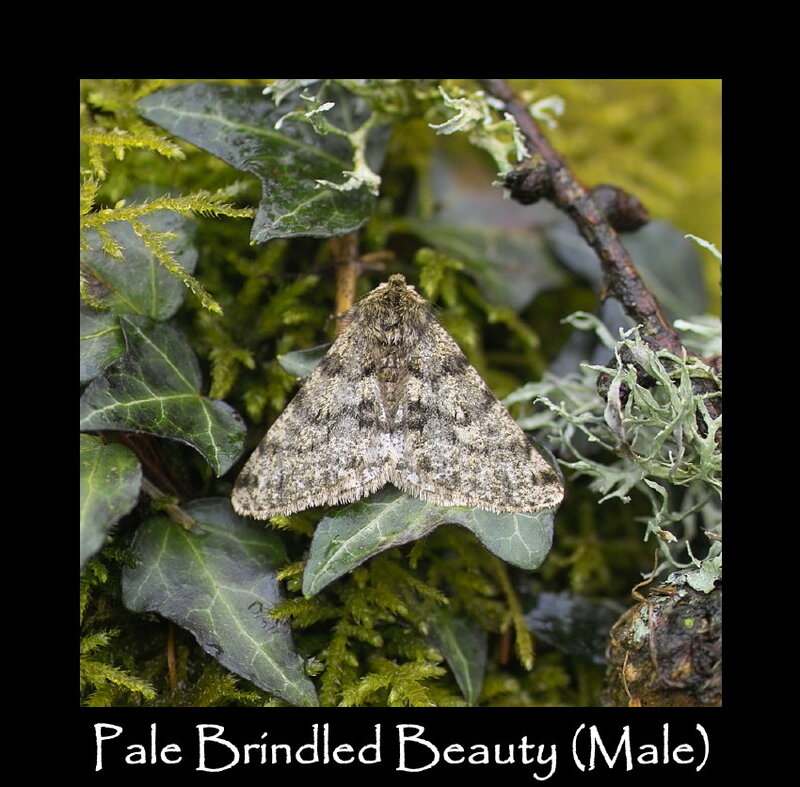 The images below of moths and butterflies found in February, are reproduced from the diary section of our DVD-ROM released in November 2008. Titled ” In A Different Light -A Garden’s Moths and Butterflies – A Photographic Diary”, all the images are copyrighted to us. Please contact us if you’re interested in purchasing a copy of the DVD-ROM, including a separate CD of the Dawn Chorus in our Garden for £10 plus P&P. There is much more information, and the images are of a much higher quality than the ones uploaded to the blog, on the DVD-ROM. There is additional information and reviews of the DVD-ROM on the Garden Moths ‘parent’ page.